Are Safety Weeks a Good Idea? A recent posting on LinkedIn reminded me about the Safety Week taking place in the United Kingdom during June; this has me thinking is a “Safety Week” a good thing or not? My initial thoughts are that every week should be a safety week… indeed every day should be one, so why do Safety Professionals think that to have a dedicated week, once a year, could make any difference whatsoever? In the “emerging economy” where I work the Safety week is usually held in January and it is a week of frantic activity from picture and slogan competitions to putting on displays of safety related equipment and speeches by well-meaning senior site managers about the virtues of working safely. (Sadly at one contractor this event in 2014 was cancelled half way through the week due to a fatality on one of its sites). That be it as it may, who actually measures the effect of these “Safety Week” events? If the objective is to increase awareness of Safety why is it only once a year… why not every month or, if we are worried about diluting the message, every quarter? I have searched in an attempt to find any statistical reports on the improvement, or otherwise, of safety after these “Safety Week” events but all I got from the internet were titles of other safety weeks. For instance did you know about the “Child Safety Week”? What about the “Electrical Fire Safety Week” or the “Gas Safety Week”? The list seems endless and while they announce them with great vigour no one ever informs you of any ensuing results or benefits! Safety is not a religion, we cannot expect managers and CEOs to accept on blind faith that our efforts will result in safety benefits! So until I see the statistics on accident reduction or increased lasting awareness I am afraid I will play along with your “Safety Week” activities but I will remain unconvinced of their benefit and put them into the category of symbolism just like in the photo. 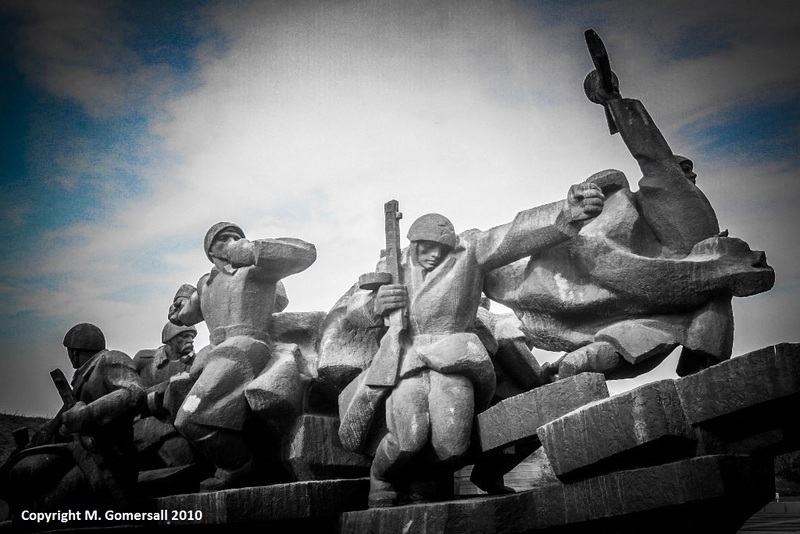 As a Manager is your hand on the controls or are you a bystander? As managers of work teams we have a responsibility, both legal and moral, to ensure that we make things happen and exercise control over our work place or work site. 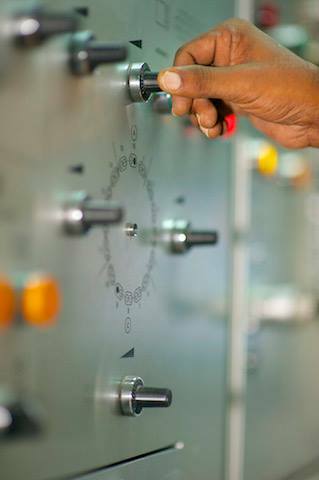 This includes providing safe equipment and tools, ensuring the workplace is free of hazards and where hazards are present we must have done everything possible to reduce their effects to ALARP (As Low As Reasonably Practicable). As a manager you should always be on top of the competency of your workers, ensuring that workers are trained in the tasks which are given to them and that the training was sufficient to deal with any adverse or unseen effects of the allocated tasks. Alluding to the fact that if managers didn’t get out into the workplace and see what people are doing then they will never get a true picture. So Mr. Manager… the ball is in your court. Accept Responsibility… Take Control…! Get Out There and Look – Make things happen! Getting the safety message out to the masses requires some innovative thinking which sometimes requires something “outside the box” but often the answer is staring us in the face. As a Primary School pupil I instantly clicked with maths and I think this is because my brain is wired to think logical and maths appealed to that logic. I particularly remember the time we were introduced to fractions, and many of my peers just couldn’t grasp the basics of the “common denominator” but for me this was exactly that logic which appealed to me. In the “developing economy” where I work cricket is not a sport, it is a religion; driving around the streets in the city where I live we often see kids setting up an impromptu wicket and using a bat and a tennis ball, they will begin a game… then on TV there are any number of sports channels showing cricket and repeats of games from years back. Added to this it is also true to say that Sachin Tendulkar is a national hero who reduced ardent fans to weeping in sorrow when he eventually announced his retirement last year. Now you may think that I am getting a long way from safety by discussing primary school maths and cricket but please bear with me a little while longer. When I first arrived in this “developing economy” where I work I immediately noted a lack of discipline when it came to wearing PPE and whilst very basic I recognised that we needed an innovative campaign to drive this to the fore and make a step change. It was while watching a cricket match that the idea came to me. Each of the guys on the field were wearing PPE in the form of helmets, knee pads, and gloves (and probably something to protect the more sensitive part of the male body). So given this could we not utilize the hero of the sport to drive the message home that even he values his safety and wears PPE, it might not be a HiVis jacket and steel cap boots but nevertheless it is PPE! Soon the posters were springing up on sites to press home the message and we had found the common denominator in cricket and Sachin Tendulkar and soon our audience started to get the message… we had found our common denominator and my primary school maths teachers hard work was finally vindicated. 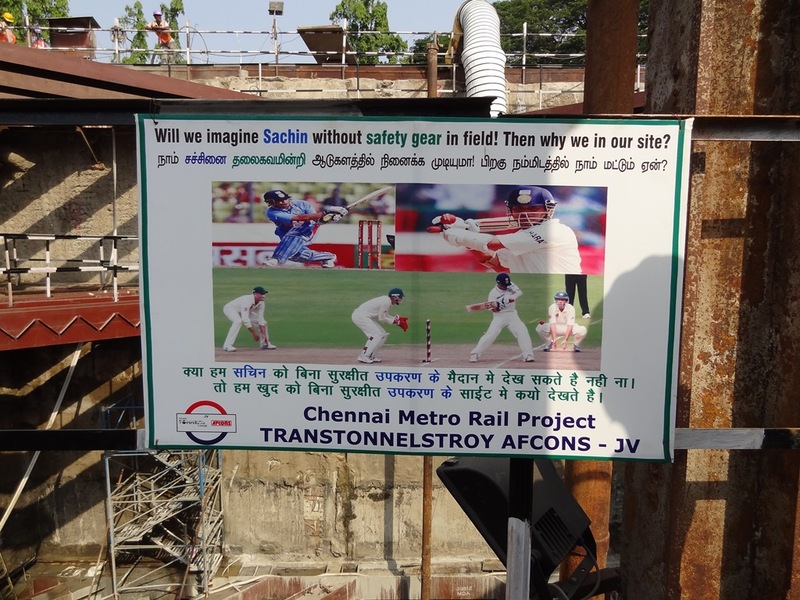 Now how to get Sachin Tendulkar to our next safety meeting…? 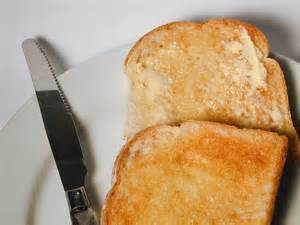 A few days ago my Sister was publically berating her husband on social media for using a knife to retrieve a piece of toast from their pop-up toaster which she had declared an “Unsafe Act” (not her exact words but the intent of her message). I thought about this for some time (I must be bored or something) before I added my comment to the thread… and not wishing to be over supportive of my Brother in Law’s actions I wonder what, if anything, was wrong with what he did that morning. 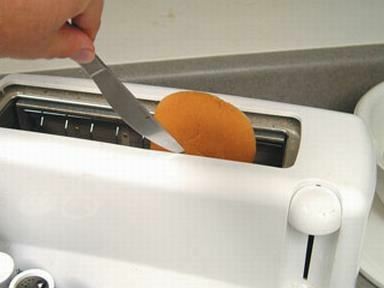 Clearly with standard pop-up toasters there is a danger with putting anything metallic inside the “hot part” since there are open conductors inside there… but what if he had noted there was no orange glow coming from the inside? What if he had already switched off at the wall and pulled the plug out of the socket? Would his actions still have been unsafe? Without shadow of a doubt if you look inside the booklet that came with your new toaster it will clearly warn of the hazard of placing anything metallic into the toaster… but is that just a disclaimer on their part to head off any chance of litigation against them should someone think it a good idea to put a knife or fork into the toaster whilst it is toasting? Same for the action of pouring a cup of water in as well…! This brought me to think of the topic of Safety Risk Assessments and Method Statements. Why do we write them down? And does anyone really read them once we have committed them to paper? In my line of work I see a fair number of Risk Assessments each week (I provide safety advice to 37 different contractors on a very large Metro Project). Many of the Risk Assessments are not worth the paper they are written on and most are “copy – paste” jobs from previous works or even from other people’s documents (judging by the different fonts they are written in). Sometimes I see glaring mistakes that leads me to think that the author is not even prepared to read them let alone anyone else! Under UK law there is a statutory requirement to conduct Risk Assessments and to write them own, provided you have more than 5 employees however it doesn’t say that you must write them down every single time when you issue a new work instruction. So if the people writing the Risk Assessments are not reading them who is? Cynically I think the answer to that is quite obvious “No One” (except me of course). So is it a waste of time? Would my Brother in Law have been safer if he had completed and written a Risk Assessment before sticking his knife in? Would he have been safer had he read the toaster instruction manual? My opinion is that if a Risk Assessment is completed properly before a job is undertaken then it is a good thing: It is a good thing that someone has sat down and thought about the job and considered what the hazards are and what can be done to mitigate them… Contrary to that for some idiot to think that he can just copy from another job and “fob it off” is a case of gross stupidity and bordering on a criminal act in my opinion. In my current role the need for contractors to write the risk assessments down is one of proof that the risks have been considered. It is the first place I look when checking their documentation and if it isn’t done properly or inadequately, they are invited to see me in my office! So why is your company writing Risk Assessments? Are they just covering themselves, just complying with the law or are they meaningful documents and a guide to those undertaking a task? Back to my brother in law… did he complete a risk assessment? Was he acting safely? More importantly has he managed to obtain my sister’s pardon for his behaviour? I can’t say but I do think he is still alive or my Sister would have told me! Not Best Work Practice and Just Not Thought Through. 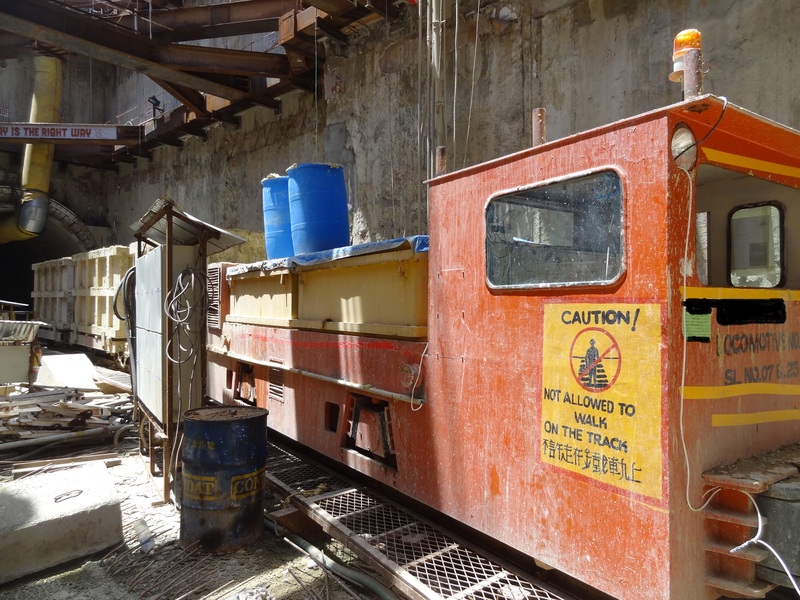 Today I wanted to share a photo I took some time ago on another metro tunnelling project… The above photo was taken in the shaft bottom just outside the tunnel headwall and just for purposes of this Blog let’s forget the mess in the general area and concentrate on two issues. Also no one though of modifying the transport bogie by lifting it load carrying platform. You will notice that there is a sign on the side of the loco advising “CAUTION – Not allowed to walk on the track”. Now I really have to wonder why someone would see the need to put this on the Loco! If you think about it for a moment you will note that if you were walking on the track you will not be able to read the notice anyway due to the relatively limited space in a construction tunnel. Even if the notice was on the front of the loco by the time you could read the notice it would be far too late because the loco would almost be on top of you. I blame this squarely on the Safety Officials of this location.. It is their job to identify hazardous areas and to post the signage accordingly; willy-nilly placing signs in every possible location reduces their effect and can lead to confusion or misunderstanding. As a Safety Professional or Manger reading this you might be excused for thinking that I have lost my marbles… and that I clearly don’t belong in my current senior role in safety compliance. So let me begin by explaining my rationale for writing such a bold statement. 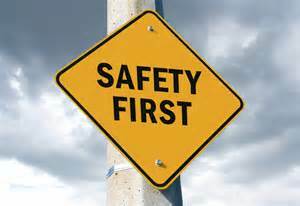 “Safety First” is, in my opinion, just another glib statement placed into someone’s corporate policy to give an impression that all is well in their “morals department” and to give the impression that their safety regime is pointed in the right direction. However do they really mean it and, more importantly, can they truly live up to this concept that safety comes first? I wonder how many times I have been informed that a Safety Meeting has been postponed, or cancelled, because a senior manager is busy with something else… or sometimes, more recently, with no explanation at all and in one instance no meeting took place for past two months straight. My opinion is that this is happening in companies all around the world; it is not just in the “developing countries” it is everywhere… Safety meetings are cancelled at the drop of a “safety helmet” seemingly because something “urgent” has arisen. Now unless that “something urgent” was safety related then I guess we can only assume that “safety second” is their true and prevailing mantra. I preach from a standpoint that Safety, Quality and Productivity come in Combined First and each should share equal attention and indeed are inter-related in the world of work. Let’s take quality first… To a production or project manager there is no higher profanity than “re-work”. Re-work is a costly exercise and often costs more than the original work itself. To prevent re-work we need our workforce focusing on the job at hand; now if a person is feeling unsafe then they will be concentrating on not getting injured and your quality will potentially suffer. On the other hand a business cannot survive with poor productivity; not providing a safe and well equipped work environment can, and, often does, lead to accidents. So if we have the correct tools and equipment and people perceive their work environment to be safe, then it follows that they can concentrate on getting the job done and productivity should rise. So shouldn’t Corporate policies be recognising the concept of Safety = Quality = Productivity? If we recognised this as a concept then we could safely say that everyone wins. Firstly the customer gets a quality product, the shareholders get returns on their investment and, importantly, the workers get a safe environment. 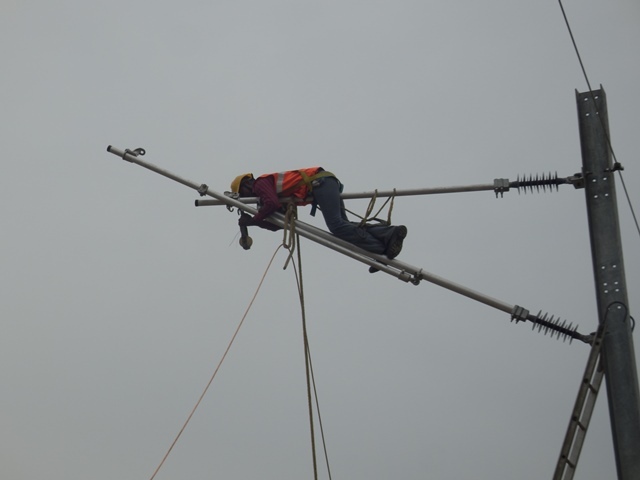 Does anyone think this worker is concentrating on a quality job or working efficiently?